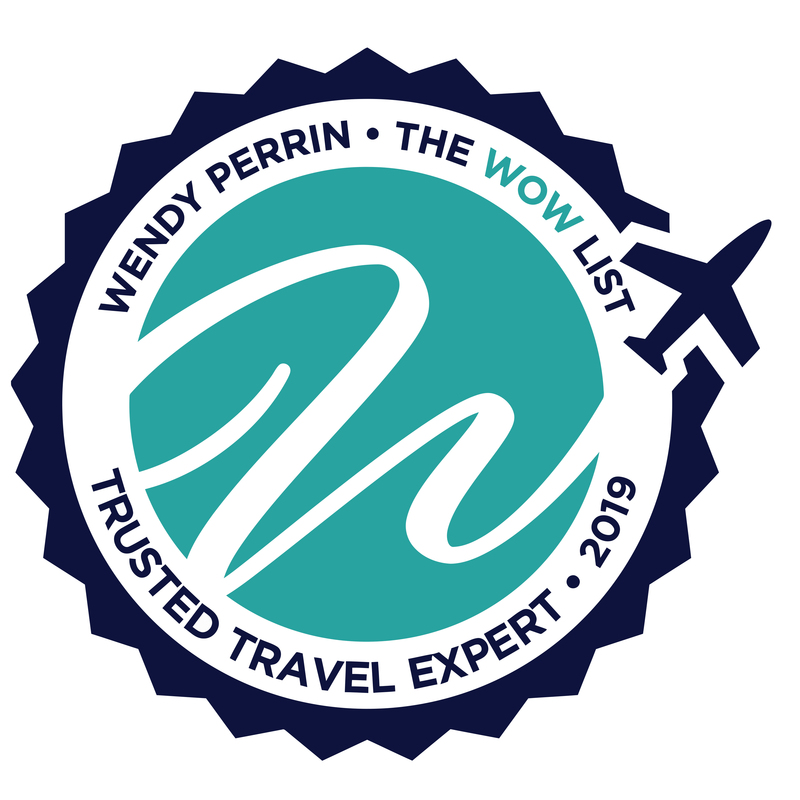 Patricia Johnson and Rachael Wilson are on Wendy’s WOW List of Trusted Travel Experts for their expertise and connections in Belize. The reviews below are from real travelers who’ve taken trips that were arranged by Patricia and Rachael and monitored by Wendy. Don’t miss Patricia and Rachael’s Belize Insider’s Guide: Azure Waters, Green Jungle. Patricia organized an unforgettable trip for me, my husband and 3 boys. A heartfelt thank you! She seamlessly organized lodging, a private guide and driver and flights. She listened to our desires and created the perfect itinerary for us. I highly recommend her! We worked with Patricia to plan a special vacation to Belize with our adult children and a girlfriend. We could not have been more pleased with every aspect of our trip. From the planning months in advance to the trip itself, we loved literally every minute. If there is one aspect of the trip that deserves special mention it is our WOW Moment at Naia Resort in Placentia. 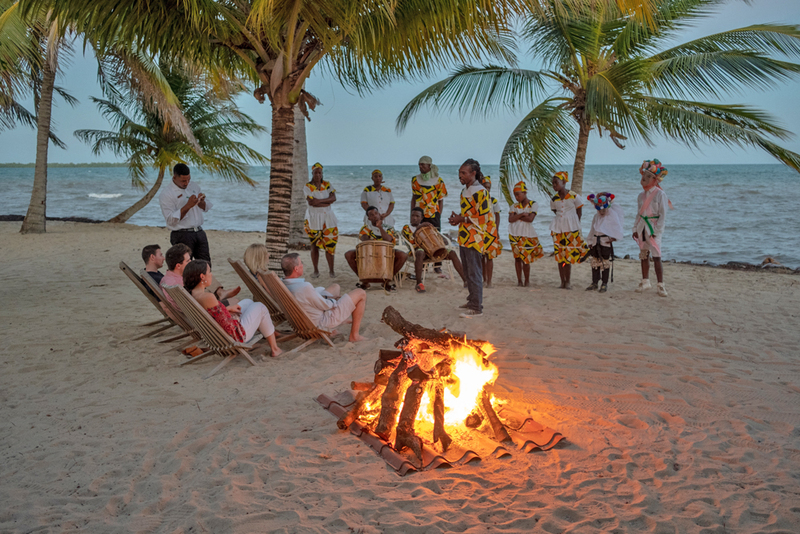 We really didn’t know what to expect as we were escorted down the beach until we could hear the beating of the drums and see the flaming bonfire awaiting us at sunset. Richard and his family taught us about the Garifuna people and their very interesting history and culture. The many dances including the “Go Mommy” chant for my wife Julie’s birthday were so much fun. The entire resort came out to watch and dance with us. It was quite memorable and was truly a very Wow moment. We loved both properties that Patricia booked for us. Naia on the beach and Ka’ana in San Ignacio in the jungle. A perfect trip planned to perfection. We highly recommend Patricia. Without Patricia’s input, I would never have thought of chartering a boat. We had a wonderful trip to southern Belize. We very much enjoyed traveling along the reef in the boat and loved the snorkeling. The food was delicious! And being able to fish off the back of the boat was an unexpected bonus. And then we could eat what we caught! Without Patricia’s input, I would never thought of chartering a boat. The southern reef is about an hour’s ride from the mainland and we got to just be there! The skies cleared in time for the lunar eclipse, and the stars were spectacular. We were happy to head south out of Belize, there were very few others, it was magical! We had some weather issues getting to Belize and my husband’s bag didn’t make it on our flight. We feared we wouldn’t be able to get it for days as we were on a boat along the reef! The second night, on Tobacco Caye, in the dark, a power boat appeared and threw his bag on board! Thanks to the TTE and the captain, it was only a minor inconvenience! Naia resort also worked out well. The 3 bedroom house was perfect for us, and we loved having a kitchen so we could just all hang out together. The chocolate tour was very interesting. We canceled the trip to the jaguar reserve, we were not interested in driving that day, and it was fun to cruise around Placencia – I hadn’t realized that there were so many shops and bars along the sidewalk. Patricia made the change in plans easy. Our WOW moment was really cool. We were in a dinghy on our way to go snorkeling and there was a plastic bottle floating in the water. I asked if we were going to pick it up, and Captain Dan said no, we’re going lobster hunting! Those who wanted to, free dove with a spear and shot lobsters (it took me five tries). Then Kainie made ceviche and served it with all the fixings, and a bottle of Prosecco. It was a really great experience that I’ve been sharing with friends and family. We are all very happy with our trip, it was a really great family vacation! And doing the boat first, and resort second was just right. Patricia was delightful and very knowledgeable. We are a family of four, two parents and two adult children in their late 20s. We love to travel and we wanted to have a nice spot to relax by the beach along with scuba diving and snorkeling. We also wanted to visit a Mayan ruin and spend some time in the jungle. The hardest part of the trip was deciding on where to go in Belize. We looked at a lot of different places and she recommended Placencia based on our criteria of wanting to be off the crowded spots. It was perfect for us. Very laid back with wonderful beach bars featuring delicious fish tacos, conch fritters and great drinks. Los Porticos is ten mins out of town, very small and private, and has a lovely small private beach and pool. Our two-bedroom condo was well appointed and had a lovely outdoor patio overlooking the beach and ocean. We took cabs in and out of town every day and the town is basically one street and one interior sidewalk with water on both sides featuring great bars and restaurants and little shops. We loved it. We went on a three dives and my only disappointment with our location is the distance to the best diving spots. If you are really going to Belize to dive, stay close to the dive sites. We wanted to do both diving and “chilling” so Placencia worked for us, but it was over an hour by boat to get to the dive sites. Regarding the jungle, we stayed at Gaia River Lodge, recommended by Patricia. We loved it. It’s beautifully manicured and landscaped and sits above an amazing river with waterfalls and rock pools. Just gorgeous. The staff could not be more welcoming and accommodating. The rooms are lovely and comfortable. The food was also excellent and we were there for New Year’s eve and they created a really fun party for the guests. One note: the drive between Placencia and the jungle is just shy of four hours with the last hour being a very bumpy dirt road. Our car and driver were fine, but it was lengthy. Some of the scenery is really beautiful and we stopped and had lunch in a lovely town and restaurant. All in all, we really loved our ten days in Belize. Thank you Wendy and Patricia!! Patricia Johnson did a great job in selecting a Belize destination that fulfilled our desire for both rainforest and water experiences, The Copal Tree Lodge in Punta Gorda. She arranged activities tailored to our interests and hobbies. She listened well and was timely in her responses to our questions. We would use her again and recommend her without reservation. The Copal Tree Lodge was great. The food was farm-to-table delicious, and the room was spacious and comfortable. The staff was the highlight. Warmer and more helpful people we have never met at a hotel setting before. All of the activities were excellent, the Snorkel with the Chef experience was unique in that they moved us to Wednesday due to bad weather on Monday. We found out later that this was not a day they usually do this activity so we ended up getting a private experience, which was wonderful. The cave swimming day and the Bean to Bar workshop were also well executed and remarkable. Due to rain, the staff was very flexible in rescheduling our activities several times so we did do everything we had planned. They were communicative, thorough, and detailed. Rachel and Patricia stepped right up and helped us organize a last minute trip to Belize over the holidays. They were communicative, thorough, and detailed. We stayed, at Patricia’s recommendation, at the Turtle Inn which is fabulous. Seriously fabulous. I have never met nicer and more competent staff in any resort. Melvin, our naturalist guide, is encyclopedic on bugs, birds, Mayan ruins, plants, traditional herbal remedies, and any number of Belizean topics. Our only wish that would have improved the trip was to have known to bring anti-bug remedies and clothing. They are voracious and we were unprepared. But the Turtle Inn had supplies and remedies readily available. So all went well. Thanks for the wonderful experience. Patricia did an excellent job of planning our trip to Belize. She put together a fun and adventurous itinerary with some time allowed for relaxing too. She called me just before we left to go over any last minute itinerary questions and to make sure we had all the details that we needed. She was very quick to respond during our trip to last-minute additions and questions we had while in Belize. My husband and I took our 13-year-old granddaughter who loves the sea to Belize. Patricia planned 3 destinations for us – Hatchet Caye in the southern cayes, then Kaana Resort near San Ignacio and Turneffe Island Resort in the northern cayes. Each was a beautiful and interesting place. She also planned all the transportation within Belize which worked perfectly – small planes, vans, and boats. Patricia arranged a snorkel trip, a climb of a Mayan temple, ZIP lining and canoeing through a cave. We were met at each stop by a driver/guide all of whom were courteous, pleasant and full of information. The only glitch was that we were not told that we needed a letter of permission to take our granddaughter into a foreign country. After 30 minutes of talking with different customs agents at the airport, we were able to get a letter and ID emailed from our daughter in the states and we were able to enter Belize. It was a great trip and we would recommend Patricia Johnson. Patricia was helpful, informative, thorough and patient while we were booking our family trip to Belize. We loved both places she had us stay (Chaa Creek, Turtle Inn), and the guides and recommended activities were excellent. She checked in with is several times during our trip and answered on the spot questions quickly! We had no logistical problems at all. We would book with her again in a heartbeat. Really came through for us. Patricia really came through for us when we suddenly needed to plan a trip to Belize and only had a month to do it. And it was during spring break – not an easy task! 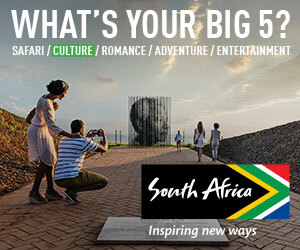 I initially thought I could book a place online myself but quickly saw most places were already booked. So we contacted Wendy Perrin in desperation who connected us with Patricia Johnson. She found a wonderful place for us in Placencia – “Chabil Mar” and we couldn’t have been happier with the resort or location. Also, she was able to reserve 3 separate tours for us with guides on very short notice. We really enjoyed our last guide, Blasio, on a Mayan ruins tour. In fact, we found out he was also an expert in birding so requested a tour with him the next day to go to yet another nature reserve. We contacted Patricia and her team was able to arrange it for us for the very next morning, with no issues. All of our tours and guides were excellent, as well as all the various transports, including airport transfers. If we go back to Belize in the future, for possibly a snorkeling trip, we would definitely use Patricia. It was a memorable trip! My husband and I worked with Patricia to plan a trip that we were leaving on in 4 weeks. She put together a plan that we went to Tikal in Guatemala, then to Belize and stayed in the mountains. The guides to the Mayan sites were wonderful, knowledgeable, prompt, and very personable. From there we went to Ambergris Caye and went snorkeling on the reef in several places and had a day to explore the island via golf cart! So much fun! We did have a local concierge try and change our plans, saying that we couldn’t do what was planned. I contacted Patricia and she promptly straightened everything out and sent me a detailed instruction on the plan- it worked perfectly and was much better than what the local concierge wanted us to do. She had arranged for fantastic guides who also worked with us. They were very knowledgeable, friendly, flexible with the plan, and worked with the weather. The unplanned, but the wonderful opportunity that came up that we took hold of and did. A charity that was making a gift delivered to a local, small school and we got to go with and assist! Such a Blessing and a highlight of the trip! Thankfully our guide was flexible enough to let us enjoy this …and then our vacation continued with more wonderful things to see and do down by the sea!